A Photo booth and Social Media Hub all in one. 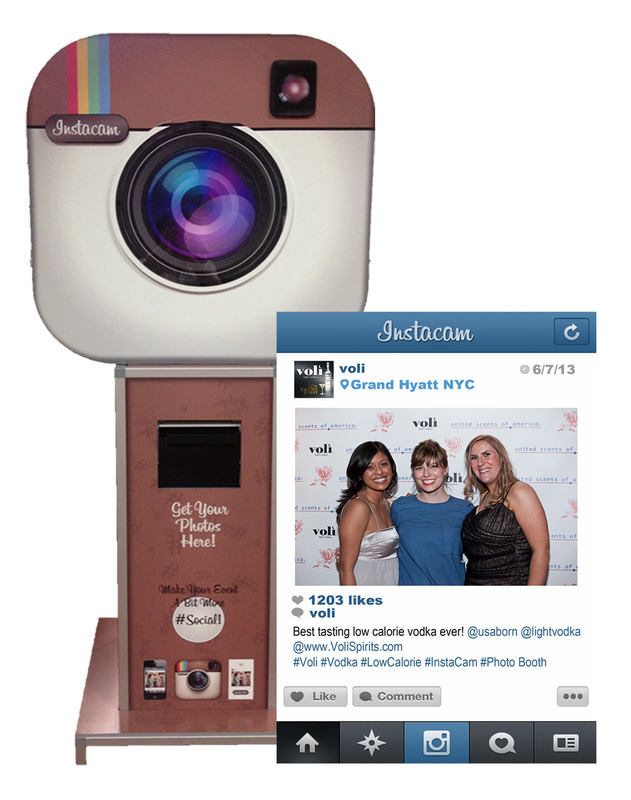 The InstaCam photo booth hire provides an event experience like no other. You get the traditional photo Booth experience , with the added ability to take photos using Instagram and print from any smart phone in the room. It really is a Social Media Booth and Photo Booth in one!! SNAP -Guests Take a photo with Instagram from their Smart Phone or directly at the Kiosk. #TAG – Use Custom #Hashtag when posting your picture to Instagram. Its fun, its unique, and only one in Australia. Each 6×4 photo is printed on a fully customised Instagram template. All our packages come with our fun box of props and sill stuff, including crazy hats, blowup items, hand held props and more! Need more hours for your event? Add as many hours as you need to give your guests the ultimate experience. Give us a call and let’s work something out! Want the VIP touch! Guests will love the Hollywood red carpet to put the final touches on your exclusive star studded event! Who’s that in the photo with you? The options are endless with our green screen, allowing you to customize your photo background to whatever or should I say whoever you want! Want to create something unique and special for your celebration? Any set, scene or theme can be created to suit your event. Utilizing the InstaCam as the photo booth, we can transform the background into the Great Gatsby scene, Jungle , Christmas and more. The options are limitless. Just ask us today!! Space requirement: 1.10mW x 1.10mD x 2.50mH (Please note the depth) and 1.5 – 2m to the front of the camera. Usable only indoors or undercover, not to be exposed to water. 1 hour minimum prior to setup. 1 hour minimum for pack down. Standby rates may apply if earlier setup or later pack down is required, please contact us to see what we can do to help you!